You may have felt a sensation of numbness or tingling on a part of your body, but if it affects your face, it can be a terrifying experience. Facial numbness can be the result of a medical condition, or external factors such as cold temperatures. It can be present on one side or the entire face, and depending on the cause, it may be a temporary or permanent effect. It is important to understand the causes and know how to treat any numb face symptoms. Known as facial hypesthesia, numbness in face can be linked to a breakdown in the nerves attached to the trigeminal nerve, which is responsible for sensation in the face. It is not associated with any damage or injury to facial nerves, as these affect the muscles in the face and not the skin surface. Here are the causes of facial numbness. The position you sleep in, or maintain while working, can affect the trigeminal nerve. Pressure on this nerve can cause it to become inflamed and result in a temporary numbness sensation. You may have a tingling sensation once the numbness disappears. For some migraine patients, a numb face is an indicator of the onset of pain, approximately 10 to 30 minutes beforehand. As a side effect of some medications, partial or full facial numbness can be an issue. This can be present with prescribed drugs to treat seizures such as epilepsy. Nerves serve as a transmitter to the brain for sensations felt. 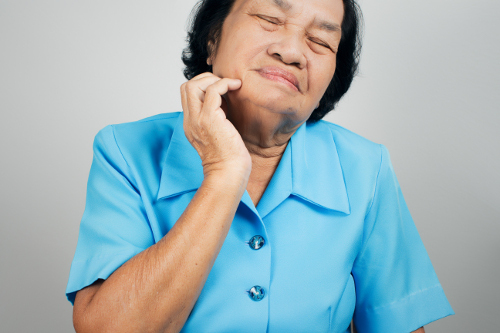 An injury or damage to the trigeminal nerve can cause facial numbness. This can be from nutrition and electrolyte deficiencies, diabetes, alcohol abuse, and lead poisoning, in addition to any trauma. We need sufficient amounts of vitamins and minerals to maintain the proper functioning of our body systems. The most common deficiency causing facial numbness seems to involve low levels of vitamin B12 from substance abuse, poor diet, or stomach surgery. Numbness can occur with low levels of potassium, calcium, and required sodium. Malignant tumors of the nerve’s protective myelin covering can cause numbness of the face. The numbness sensation increases over time and may be accompanied by hearing loss and complete sensation loss of the face. Numbness often occurs before the outbreak of a painful rash as a result of the shingles virus. A burning sensation may accompany the tingling and numbness symptoms. Facial shingles can also affect your vision as it can appear around the eyes. This autoimmune disease can directly affect the trigeminal nerve and cause numb face sensations. This may be accompanied by weakness, lack of concentration, fatigue, and loss of hearing. Epilepsy covers a range of seizure disorders, many of which may cause numbness and tingling of the face. It is linked to irregular brain activity of the cells responsible for face sensation. A transient ischemic attack may be a precursor to a stroke episode. Numbness of the face is one of the many symptoms, as well as headaches, confusion, and difficulty with mobility, speech, and vision. Numbness in face can also be linked to anxiety, stress, depression, and many autoimmune diseases in addition to multiple sclerosis. Infections that may cause numbness include rabies, leprosy, canker sores, and acquired immune deficiency syndrome (AIDS). Patients with blood disorders, connective tissue disorders, heredity disorders, and fibromyalgia may also experience facial numbness. Unless you have a serious accompanying symptom mentioned, there are home remedies and lifestyle changes to deal with numbness of face. Exercise regularly and include face and neck exercises to maintain proper blood circulation. Numbness of face can cause concern for those with no associated health conditions. It can be caused by simply sleeping for a prolonged period on one side of your face, or may be a sign of a serious health issue. It is important to note if other symptoms are present such as headaches, weakness, or difficulty with speech or vision. Depending on the reason for the trigeminal nerve to be effected, the tingling and numbness can be temporary, or last for days, weeks, and even years. Lifestyle changes and a well-rounded nutritional diet may help with some conditions of numbness in the face. If you still experience facial numbness after attempting to improve the condition, seek medical advice, as there may be a hidden cause to the sensation. Salina, “Numbness in Face: Causes, Symptoms And Home Remedies,” Simple Remedies, May 29, 2013; http://www.simple-remedies.com/home-remedies/numbness-in-face-causes-remedies.html, last accessed March 16, 2017. “What Causes Numbness in Face?” MD-Health; http://www.md-health.com/Numbness-In-Face.html, last accessed March 16, 2017. “Numbness in Face,” New Health Guide; http://www.newhealthguide.org/Numbness-In-Face.html, last accessed March 16, 2017.